others along their whole foods journey, as well as continuing to blog over at Freshly Grown. once you’ve made the switch to eating more whole, unprocessed foods! 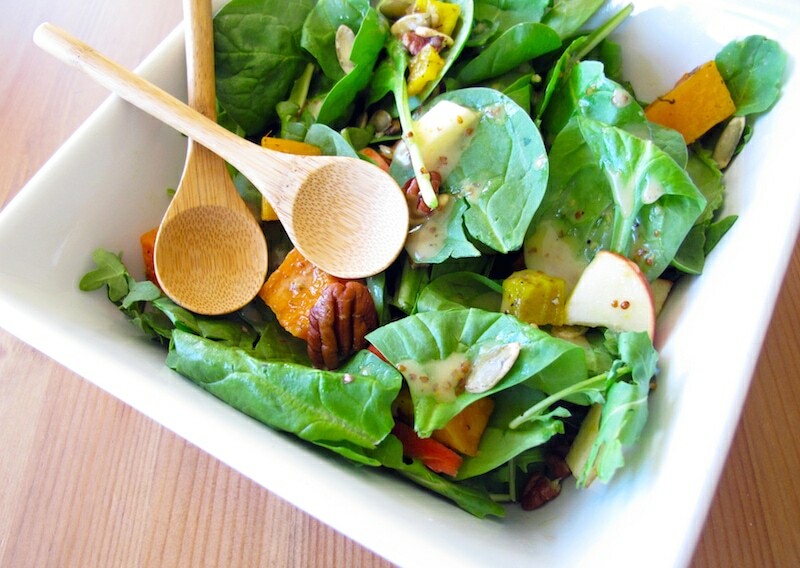 The recipe I chose for you today is a roasted Fall veg salad with a maple dijon lime dressing. warm roasts, and soups and stews and roasted veggies that come with the colder months. 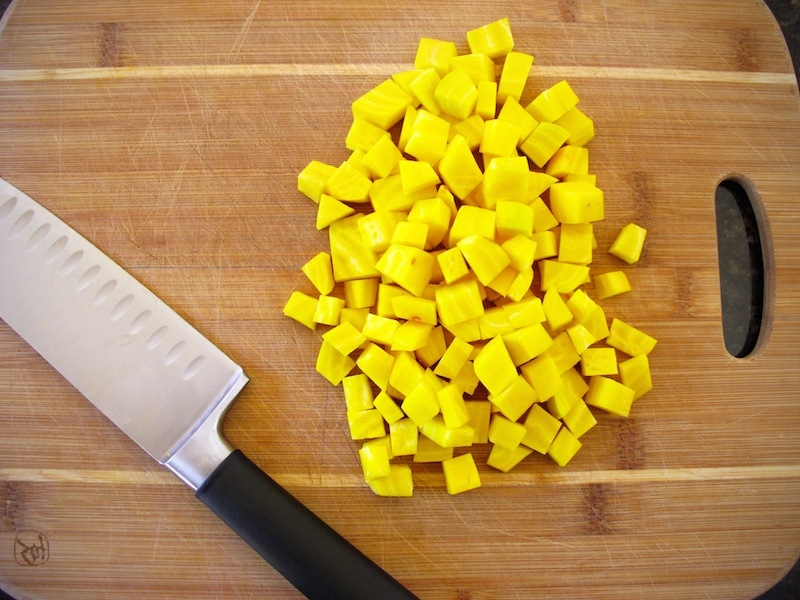 pieces and add it to the bowl as well. Combine 2 T of avocado oil, 1 T real maple syrup, sea salt and cracked pepper to the mixing bowl and toss, making sure the veggies are coated. the way through and the edges turn a bit brown. While you are waiting for your veggies to roast, begin making your dressing. In a blender , combine all of the dressing ingredients and blend until well mixed. Do a quick taste test and adjust accordingly. Place in the refrigerator until time to serve, this allows the dressing flavors to set. Next, chop your pecans and apple. Once your veggies are done roasting, take them out and let them cool. Assemble your salad: spinach, arugula, roasted butternut squash and beets, chopped pecans and apple, sprinkle raw pumpkin seeds on top, drizzle with dressing and voila! Your salad is complete! Time to serve and enjoy. Your dressing looks delicious! I bought some advocado oil at TJ Max a few weeks ago and was wondering what to do with it. Perfect timing! I'm not a fan of beets but maybe I just need to try roasting them. Thanks for the great recipe!! I love beets roasted! That is one of the few ways I eat them. Your salad looks fantastic. I have yet to buy avocado oil. I'm going to have to splurge and give it a try. Thanks! You should definitely give avocado oil a try. Such wonderful flavor! I was wondering if you could sub another oil for the avocado oil? I don't have any right now.